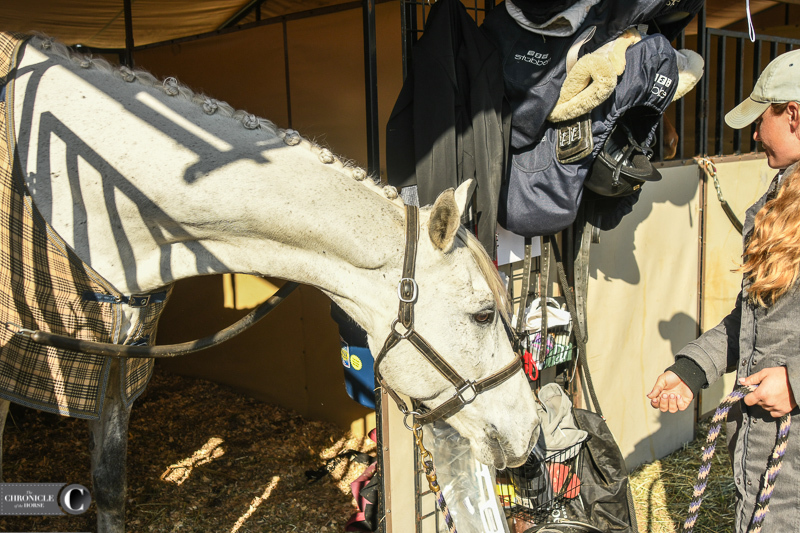 At 17.2 hands, Polaris is hard to miss when he’s out eventing with his owner and rider, the diminutive Sara Gumbiner. 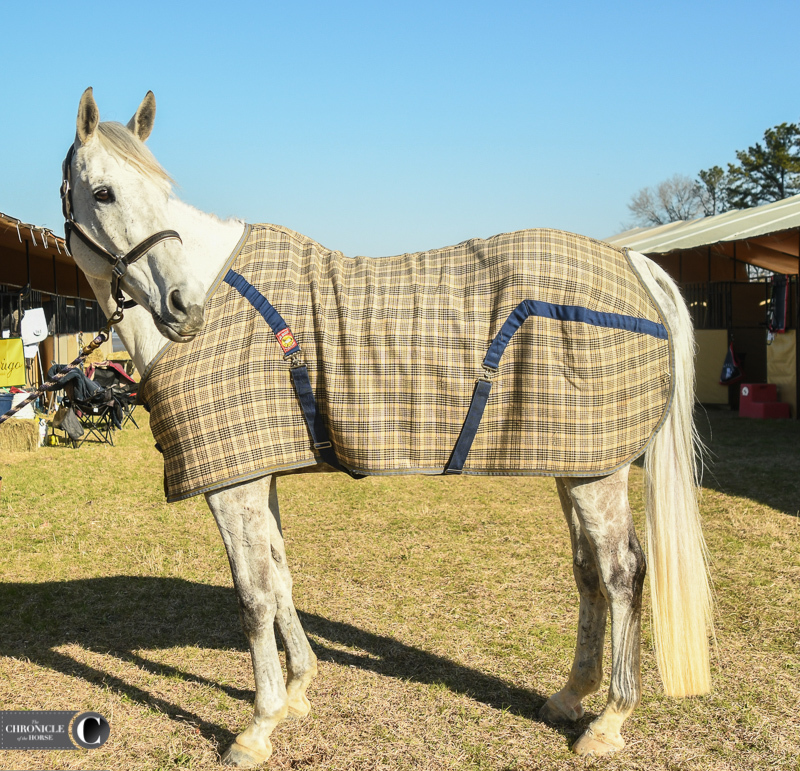 But they’ve become a perfect match over the seven years Gumbiner’s brought the now 14-year-old Irish Sport Horse gelding (Brandenburg’s Windstar—North River Lady) along. 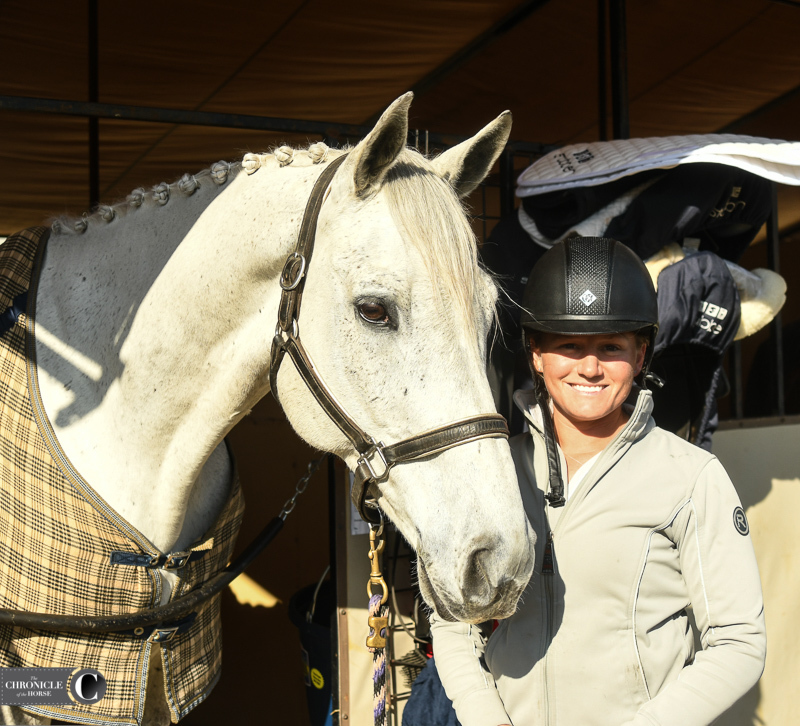 Gumbiner, 31, and “Larry” completed the Land Rover Kentucky CCI5*-L last year for the first time, and she’s looking ahead to another crack at it this year. 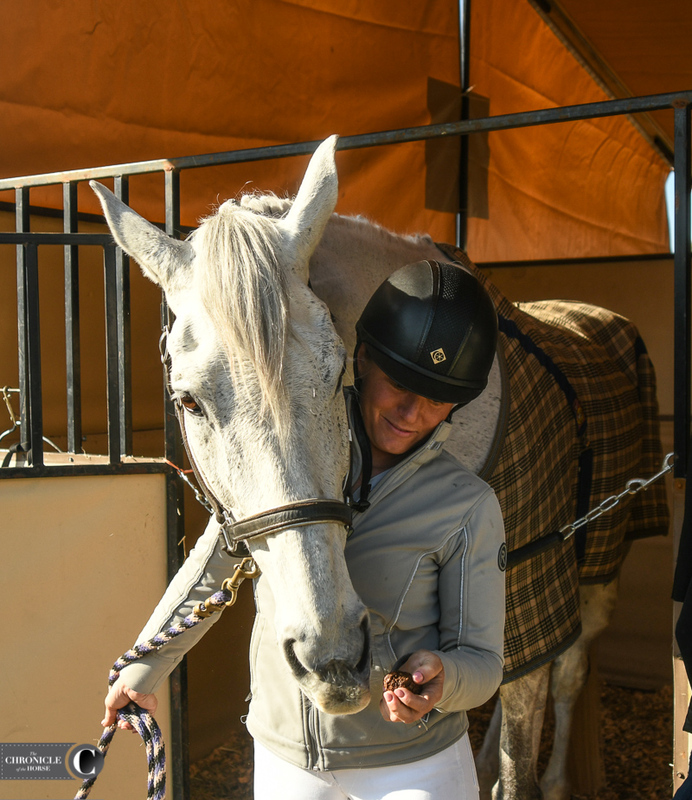 We caught up with Gumbiner to learn more about her longtime partner. • He’s king of the barn but without the ego. He’s just a little curious and likes to keep an eye on absolutely everything. Larry always likes to know what’s going on. • Gumbiner is her own groom at all but the biggest of competitions, where she tries to find some extra help. So what’s her secret to keeping Larry clean? “He’s stayed pretty dark as he’s gotten older,” she said. 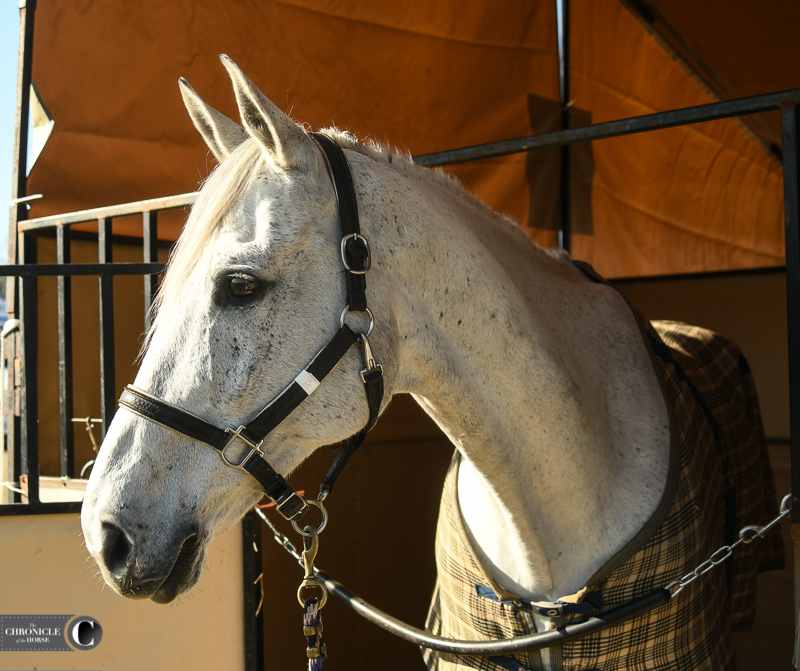 “It’s just been in the last year that he’s gotten really white, and he’s really tough to keep clean. It used to be that I didn’t have to worry at all because he was nearly black. In the summertime he would turn almost brown. Now it’s a battle. • Being hands-on with Larry is important to Gumbiner. She does all the work herself at home in Cochranville, Pennsylvania. Canterbury Cookies are a favorite. • Larry’s day begins at 7 a.m. with breakfast. “I try to give him some time in the morning because he takes a nap and takes a really long time to eat,” said Gumbiner. “He’s tough to keep weight on. He gets ridden six days a week. Two of those days are fitness days; one day a week is typically a jump day, and the rest are flat days. If he’s real wild he’ll get ridden twice in a day. • Larry has a lifetime supply of his favorite treats.